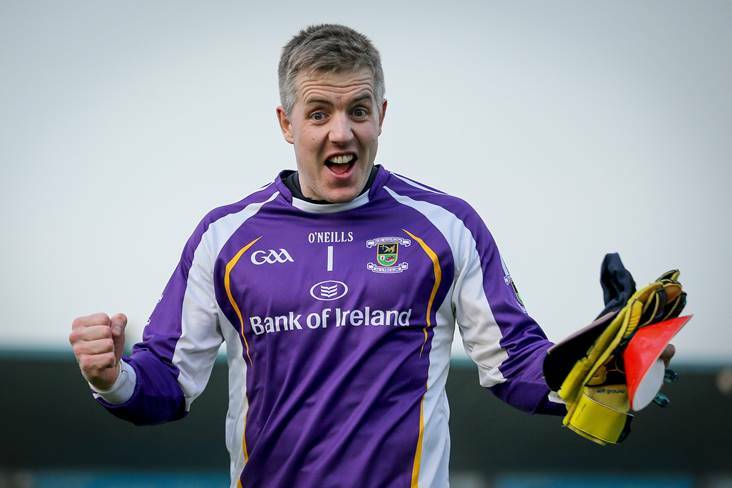 Kilmacud Crokes goalkeeper David Nestor celebrates his side's Dublin SFC victory over Ballyboden St Enda's at Parnell Park. 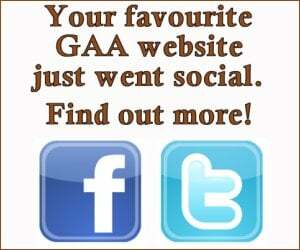 "Are we too nice now that we are partnered with the GAA? Yes we have to be on the same page as them, yes we have to work with them but we also have to be there for our players." The GPA's modus operandi has come under scrutiny in recent times but President David Collins insists it exists to represent players. "Jim [Gavin] was releasing lads to all their clubs for the period of April. But I know there are other counties who haven't released their players to train but have allowed them to play league games. For me you need two separate seasons where you define the season; play your county season and then play your club season. We need to sit around a table and thrash whatever is out - I don't think that has really happened yet." The 'club only' month has worked well in Dublin as far as Kilmacud Crokes boss Johnny Magee is concerned. "I know I would have had a different prospective on it probably a couple of years ago, but the club players now are going to have to play this weekend and then who knows when the next round will be played. I think a balance for inter-county and club players is what's needed and they will have to sit down and revise it." The inter-county season should be completed in July, according to former Kilkenny star Eoin Larkin. "To score a sideline under the Hogan Stand - I've never taken heroin - but it's like a rush of adrenaline that you start saying: 'this is going to be our day'. And PJ for the goal, he just slipped inside and slipped it into the back of the net. And then you start believing that this is going to happen." 20 years after lifting the Sam Maguire Cup, Ray Silke reflected on Galway's 1998 final success over Kildare. "We are now the only team in the country being asked to play two provincial football matches in seven days, if the situation arises. The Competition Controls Committee, the very name suggests that their very function is to protect the integrity of the competition and, in my view, this decision has blatantly failed to do that." Tipperary's footballers will boycott the launch of the Munster championships and Liam Kearns explained why. "We die for the hurling. You'd get more people going up from North Kerry to the All-Ireland hurling final than you would to the football if Kerry were in it. We live and die for it below in North Kerry. The girls have grown up with it, they have brothers playing with their club teams, they were playing with the boys when they were young, they have the love for it and they deserve every bit of credit they can get." Stephen Goggin guided Kerry to Camogie League Division 3 honours. "She's a crowd favourite absolutely. She's so dynamic, she plays with such flair in attack. When Cora got the ball, the crowd would just go crazy for her. Someone set-up a Cora Staunton fan page on Instagram, it was actually one of our teammates and it has a good few followers which is pretty cool." Cora Staunton's Great Western Sydney Giants team-mate Courtney Gum was full of praise for the Aussie Rules import. "I'd be hoping he'd manage Cork! I don't know, he is living and teaching in Cork and I don't see him moving out or moving back, but he would definitely be up to manage inter-county. I doubt it, but you never know. If his son comes up and in seven or eight years' time, his son is on the team, you never know." Cork legend Billy Morgan would love to see Tomas O Se in charge of the Rebel County footballers one day. "I wouldn't be the type of person that would push favouritism on anyone, but if you look at the curve and the stats understandably Galway are favourites, but we [Mayo] like the big games." 'Footballer of the Year' Andy Moran has started the mind games ahead of Mayo's Connacht SFC clash with Galway. "GAA in Belfast is a sleeping giant. This initiative will provide real impetus to Gaelic Games. Indeed, over the past number of years, we have seen a big increase in participation levels in GAA by schools from a range of community backgrounds, which has been fantastic." Antrim chairman Colin Donnelly speaking at the launch of the Gaelfast initiative.